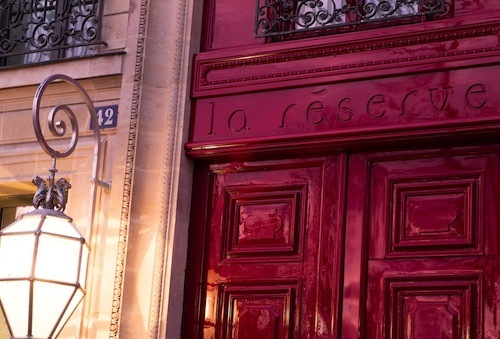 La Réserve Paris, one of the years most anticipated hotel debuts, opened their refined red doors to the public on Monday, January 19. A step from the Champs-Elysées, this discreet location is the quintessence of Parisian elegance. 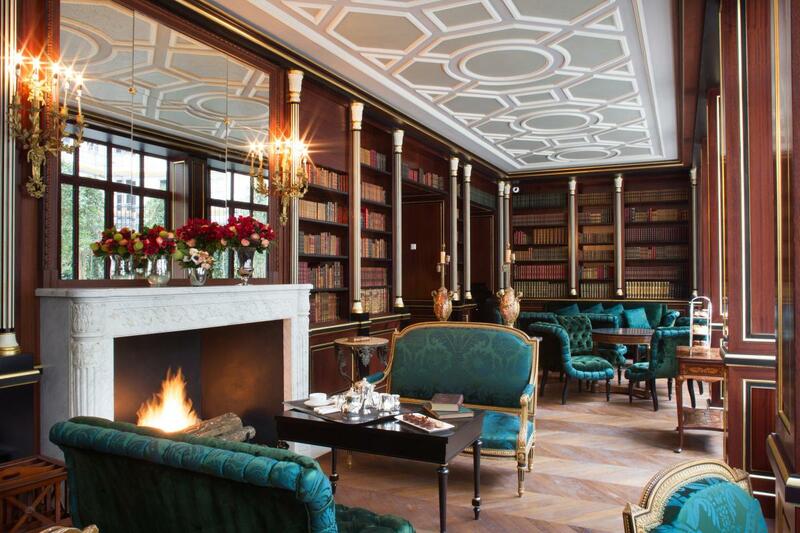 Michel Reybier, the hotelier behind La Réserve hotels in Geneva and Ramatuelle makes yet another grand entrance with this luxurious, urban mansion. A beautiful addition to La Réserve’s already exquisite apartments, the hotel is located at 42 Avenue Gabriel between Rue du Faubourg St-Honoré, and Avenue Montaigne in the 8th arrondissement. Entering the hotel is like stepping into a 19th century Haussmann-style apartment filled with spacious areas, soft lighting, rich fabrics and beautiful marble fireplaces that create an understated opulence. Famed architect and interior designer Jacques Garcia’s finishing touches are simply perfect. For being a smaller hotel, they certainly offer lovely amenities including 26 suites with individual wine cellars, a beautiful spa, a library and smoking lounge, an indoor pool and a serene inner courtyard. Michelin-starred chef Jérôme Banctel serves up seasonal French delights at restaurant Gabriel. 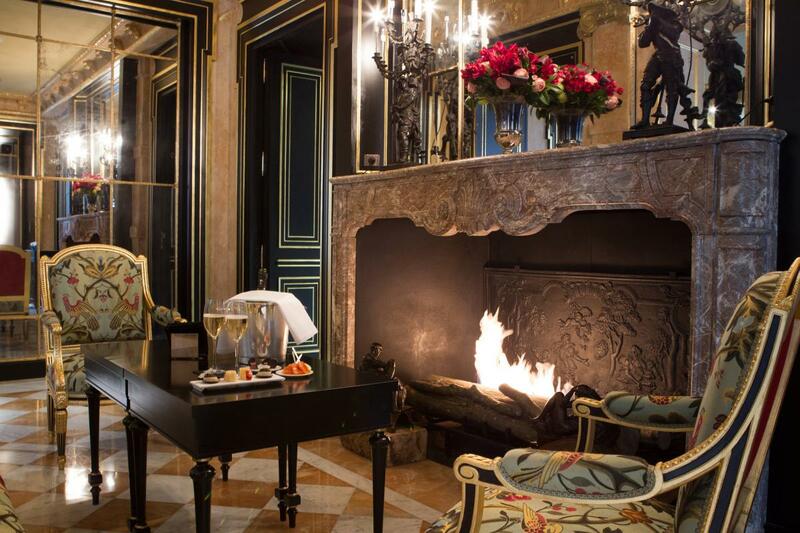 With impeccable 5-star service, this urban hideaway offers a posh Parisian experience.